Fashionable functionality is the M Series mantra and begins with the elegant Gold key chain, exposed zipper easy access exterior back pocket. Top color coordinated zipper opens to a fully lined interior compartment. One pocket is perfect for tablets. 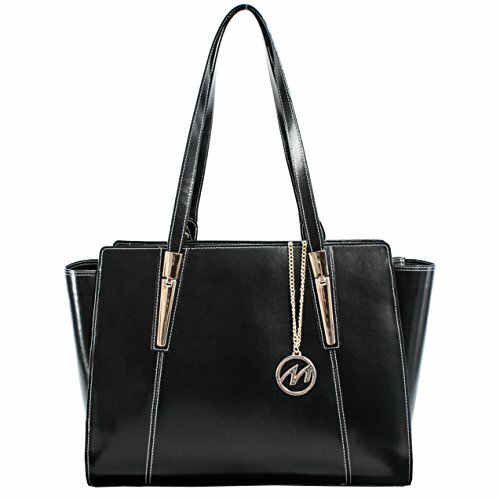 The other wall of this spacious tote offers a secure zipper pocket and two additional leather reinforced accessory slip pockets. Black & White Paisley Lining. Gold studded feet for stronger stability. More Rectangular outside style.